On March 21, 2010 “Greek News reported that Ambassador Tom Miller, a former Department of State Cyprus Special Coordinator and former U.S. 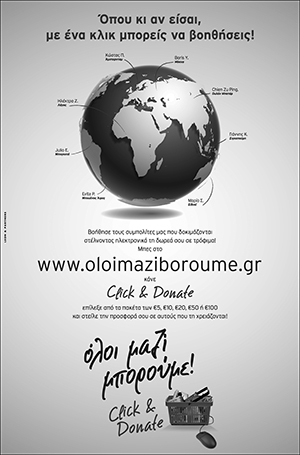 Ambassador to Greece became the Director of the Washington Bureau of Independent Diplomat; a non-for-profit organization that offers advice and diplomatic support to few countries and ethnic groups, among them the illegal regime in the Turkish occupied north Cyprus. The report created bitter feelings amongst prominent members of the Greek American Community who stayed in touch and kept friendly relations with Ambassador Miller, even after his retirement. Some of them even expressed their feelings personally to him. Not long after the so called “election” in the occupied area of Cyprus and the defeat of Mehmet Ali Talat, the relationship between Independent Diplomat and the so called “TRNC” discontinued. According to Greek Americans, the decision of ID is related to the positions of new hardliner Turkish Cypriot leader Dervis Eroglu, who succeeded Talat. 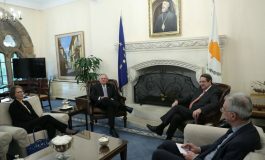 Ambassador Miller in an interview with “Greek News” declined to comment on the reasons the relation between ID and the pseudostate discontinued. But, while discussing with him the present status of the Cyprus negotiations and the prospects for a settlement, he clearly rejects anything short of a bicommunal bizonal federation with a single sovereignty, a notion opposed by Rauf Denktash and Dervis Eroglu. “If anyone talks about two sovereignties or two countries, that’s a real difficult one to deal with in the framework we were always talking about single sovereignty”, he said. Q. Ambassador Miller, few months ago you started working for Independent Diplomat and we understand at the time the organization was representing the so called “TRNC”. Are you still working with them? A. First of all, we are not representing anyone. We advise a small core of countries and peoples. We are not lobbyists and we want to make that clear. When I started with Independent Diplomat they did have a contract with Talat to advise him. Then, shortly after I started there was an election and we no longer have a contract with these guys. Q. Was the contract personal and it expired? Or they didn’t agree with Eroglu? A. I don’t know the answer to your question whether it was personal or with the TRNC. We did have a relationship that we don’t longer have. Q. Of course when this contract was signed you weren’t with Independent Diplomat, but in any case, is it ok to advise illegal regimes? A. When I took the job with the Independent Diplomat, there was a contract with either Talat personally or the TRNC and I had nothing to do with that contract while it existed. It was not long after that relationship was terminated. I am not going to go into details why and I ’m not going to answer your question about legal, or illegal. The Cyprus issue is something I spent two years of my life working on and I know little bit about it. There has been a negotiation going on for many, many years in which I was part of at one point. It still unfortunately continues and it is sad that there is no settlement. This organization I work for now has no relationship whatsoever anymore with either Talat or the TRNC. Q. Did you have any chance to offer your services to them? A. No. I had nothing to do with it. Q. Some prominent members of the Greek American Community like Philip Christopher who said they had a chance to talk to you after they learned about your new employment told me they had bitter feelings about your decision. Did they express them to you? A. I have never talked to Philip about this. In fact, it has been many years since I last talked with Philip, a man for whom I have the highest respect..
Q. Could you please offer me your assessment about Cyprus negotiations and the prospects for a solution? A. I am not as closely following things as I did when I was doing the negotiations ten years ago. I have always believed there could be a solution. I have always believed the solution would come through negotiations. I never believed then nor believe today that there is any other way to reach a solution. I believe you need a spirit of compromise on both sides. The art of any solution to any problem is that there has to be a serious negotiation. Both sides have to engage seriously and they have to be willing to compromise. We said that at the time when I was working on it and it’s still very much the case. At times there were problems about the seriousness of the negotiation. I do believe there is a solution that both sides can live with; I have always believed this. I believe there is a lot in the Annan Plan that represented aspects of this solution and I hope that at some point we can get back to it. Q. What went wrong with the Annan Plan? Why one side rejected it so overwhelmingly? A. One side at the referendum, which was part of the process, said no. You know Cyprus much better than I do so I believe you may have a better answer than I of what happened.. When I was Cyprus Coordinator, Clerides was the President. I never really had anything to do with Papadopoulos and his team that happened after I left. You have to ask this question to the people on the island. My own sense is that there was a variety of factors. People were fearful of the unknown and I understand that. They kind of knew what they had but they didn’t know what the situation would look like a result of a negotiation. And sometimes people will choose what they know, rather than they don’t know. I didn’t do any scientific surveys but talking to people as I have – I was the ambassador in Greece at the time – I think leadership had to do with it. The President wasn’t too keen on the whole thing and that was obviously a factor. And also a variety of other things that you probably know better that I do. Q. The question for some UN and U.S. officials is, if they knew in advance that the Plan would be rejected, why they insisted to have a referendum. A. I wasn’t doing the negotiation at the time but the referendum was always part of the process. You couldn’t just have a negotiated settlement that both sides agreed to;, there had to be a referendum. How much you could know in advance? There were polls, if you recall, that were too optimistic, but there was a great deal of uncertainty as well. There was also a great deal of people were undecided until the end. Q. Do you think the United States should be more involved in the process today? A. That is really interesting question. I have been asked that by a number of people. I think the best process is when the people on the island are taking the lead. I have always believed that. You want to have a serious negotiation between the two sides of the island and they should be taking the lead. The United Nations is always a facilitator to this process and indeed what we were doing at the time was to have a U.N. negotiator (De Soto) appointed by Kofi Annan and what us and the Europeans were trying to do was to assist this process. We were not trying to do a separate negotiation. Should the U.S. be more involved? A. I don’t know. If you want to make a statement that Cyprus is important, you could have a special coordinator or a presidential envoy like we had before. But you also want to be careful not to build expectations. The worst thing you can do is to set the bar high; to build expectations and then not to be able to deliver. The reality is, I don’t think the solution to Cyprus is a solution “made in the United States”. That’s where it gets kind of dangerous; building up expectations that you may not be able to deliver on. At the end of the day, it’s the parties on Cyprus who are going to determine success or failure, it’s not some outsider. I believed that at the time I was doing the negotiations and I still believe it today. I believe Christofias is a very serious person and he would like to see a solution. Q. You have already expressed your view about Christofias. You also new Eroglu and Talat. You know of course about the chemistry existed between Talat and Christofias. Knowing Eroglu, do you think him and Christofias will be able to find a solution? A.I don’t know Eroglu that well. When I was doing the negotiations the guy who was the leader was by far Rauf Denktash. I recall Eroglu sitting in the conversations but Denktash did most of the talking. I knew Denktash pretty well. I can’t say I know Eroglu. I don’t have a strong opinion on him. Q. Based on his present and past positions, what do you think? A. There is an element of any agreement which includes single sovereignty; a sovereign state; a bizonal bicommunal federal solution. Whatever you want to call it, but we were always going on the assumption that at the end of the day it would be one country. Then, you can have long discussions about how much autonomy within the two zones, but there was always going to be one country. That was always the working assumption. If anyone talks about two sovereignties or two countries, that’s a real difficult one to deal with in the framework we were always talking about single sovereignty Any framework would have to include single sovereignty. A. I am trying to be diplomatic here. You can have a negotiation about how much autonomy you may have in the zones, you can have a negotiation about who will have authority on various aspects but the one thing was off limits in the negotiations is single sovereignty and a federal solution. Federal is single sovereignty and that was always been a big hang up with Mr. Denktash when we were involved. I don’t want to put words in Talat’s mouth, but I think he understood that; and how you get there was always a problem. The destination on a Cyprus solution was never that difficult. The road to get there, “ο dromos on the way to the skopos” that was the difficulty. When I working on Cyprus we were trying to come up with a road that both sides can live with , ending up with a bizonal bicommunal federal solution. I can see those words in my sleep; I have said them so often.